In September, Darcey Bussell CBE accepted the honorary role of Ambassador for the New Zealand School of Dance supporters programme. Darcey is one of the world’s leading ballet stars. She danced as a Principal with The Royal Ballet for 20 years, and is President of the Royal Academy of Dance. Darcey joins current NZSD Ambassadors Dame Kiri Te Kanawa ONZ, DBE, AC, Sir Jon Trimmer KNZM, MBE, and Danyon Loader ONZM. Darcey Bussell coaching Laura Jones at the New Zealand School of Dance. Photograph by Stephen A’Court. Dance Masters International has announced the appointment of Aurelie Dupont, Etoile of the Paris Opera Ballet as official Patron. Registrations are now open for summer seminars in Auckland (January 7 – 13), Nelson (January 14 – 20) and Christchurch (January 21 – 26). Guest Tutors include Frederic Jahn, Patricia Ruanne, Rain Francis, Clare Freeman-Sergeant, Olivia Russell and Josiah Russell. Classes will include ballet, contemporary, Pilates, stretch, floor barre, repertoire, pointe, stage make up and RAD and BBO syllabus. For more information, contact dancemasters.international@gmail.com. In a crowd-funding miracle, the hugely deserving Douglas Wright has raised a whopping $22,607 – surpassing a target of $22,500. This money will help tour rapt to The Hague, after an invitation from one of the world’s largest dance festivals, Holland Dance. Douglas Wright Dance will perform at the Lucent Danstheater, home to the world famous Nederlands Dans Theatre. It is unique for a New Zealand company to achieve the chance to perform on this prominent dance stage. 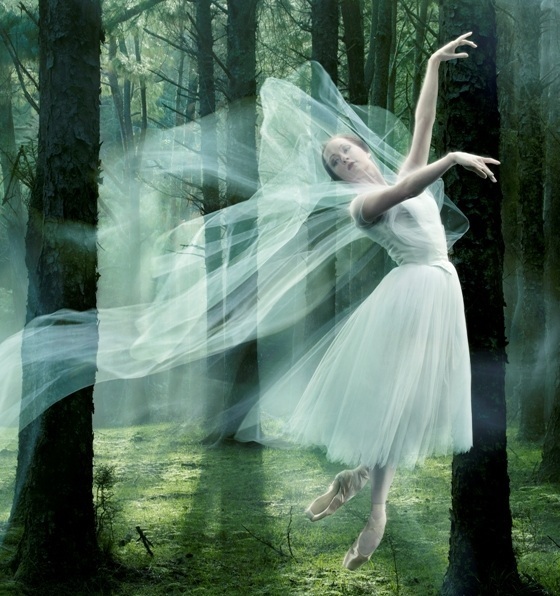 The Royal New Zealand Ballet has begun work on a major new production of Giselle, which will premiere in Wellington on November 7. Artistic Director Ethan Stiefel will co-produce, alongside Johan Kobborg, internationally acclaimed Principal Dancer of London’s Royal Ballet. Prima ballerina Gillian Murphy, RNZB Principal Guest Artist and star of American Ballet Theatre, will dance the title role. The score, performed live by the Vector Wellington Orchestra in Wellington and the Auckland Philharmonia Orchestra in Auckland, will be conducted by leading British conductor Michael Lloyd. Russian ballet dancer turned costume designer Natalia Stewart has designed the costumes. American scenic designer Howard C Jones has created a picturesque village and eerie graveyard settings, while New York lighting designer Kendall Jones will light the production. Okareka Dance Company storm NZ this month, with their acclaimed work Nga Hau E Wha. Steeped in Maori legend, Nga Hau E Wha’s debut brought dance royalty once again to New Zealand stages: Taane Mete and Taiaroa Royal. Having formed Okareka Dance Company in 2007, the pair continues to successfully fuse contemporary dance with other creative art mediums. Fundamentally guided by Maori beliefs, the new show yet again follows Okareka’s credo – Mana (Honour and Integrity), Whanau (Family) and Matataki (Challenge). For more information and to book tickets, head to www.otagofestival.co.nz (Otago), http://thebody.co.nz (Christchurch), www.tempo.co.nz (Tempo Festival, Auckland), www.mfa.org.nz (South Side Arts Festival, Auckland). Top photo: Ballerina Gillian Murphy as Giselle for Royal New Zealand Ballet. Photo by Ross Brown.